Green Building in Bend, Oregon received another boost – Desert Rain has won the 2013 Forest Stewardship Council (FSC) Award (residential) and we’re proud to be the builder involved with this project. Wood is a significant part of the winning combination of elements that bring Desert Rain to Living Building status. 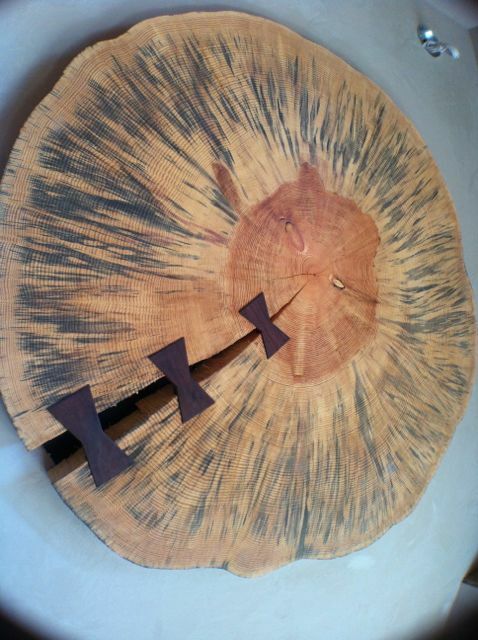 From its framing to its finishes, Desert Rain celebrates wood. FSC wood is specifically featured in Desert Rain in two substantial ways: as 100% of its structural framing and as cabinetry and wood finishes. These awards recognize excellence and innovation in the use of FSC-certified building materials in residential and commercial design and construction. The awards honor designers and builders who are committed to using FSC-certified wood and creating a marketplace that promotes environmentally appropriate, socially beneficial and economically prosperous management of the world’s forests. Desert Rain is striving to attain Living Building Challenge certification, LEED for Homes Platinum certification, and Earth Advantage New Home Platinum Certification. Wood is a primary material in this project, both as a structural material and as a finish material. 100% of wood products on this project are FSC-certified or salvaged. All the framing and dimensional lumber is FSC-certified; all cabinets are FSC- certified and all wood flooring is salvaged myrtle wood. 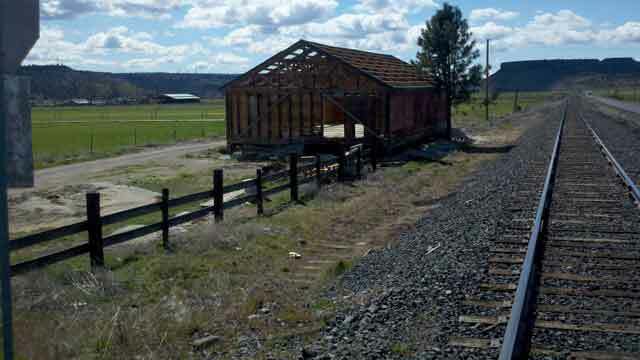 A potato barn was saved from demolition in Prineville, Oregon, less than 40 miles from the construction site. The wood was salvaged for rafters and collar ties; decorative wood wall coverings in the main mechanical room, the garage mechanical room, and the master bedroom; as well as some of the material being used in the T&G soffits, and ceilings. Timbers were repurposed for the posts between the dining room and kitchen. Additional wood salvaged from the original structures on the project site has been incorporated into the new construction. The salvaged wood was primarily from the roof and wall sheathing of two homes on the site. 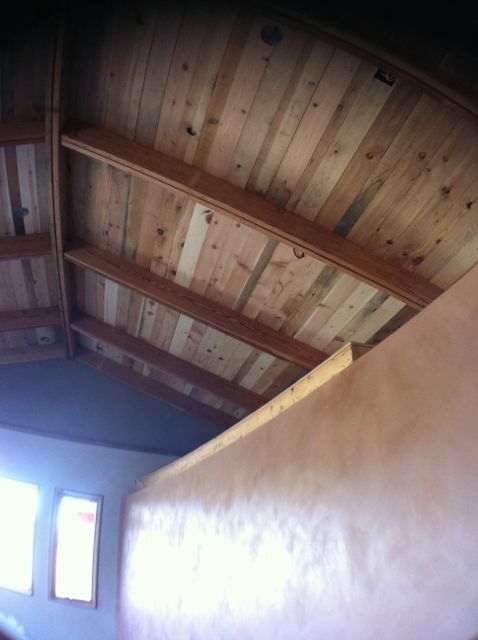 It has been re-milled and used for T&G soffits and ceilings in the new home. Also, a 200-year-old ponderosa removed from the site was milled for additional wood features.